If you are looking for a hearty, flavorful side dish for your next tailgating party or barbecue, this is it! 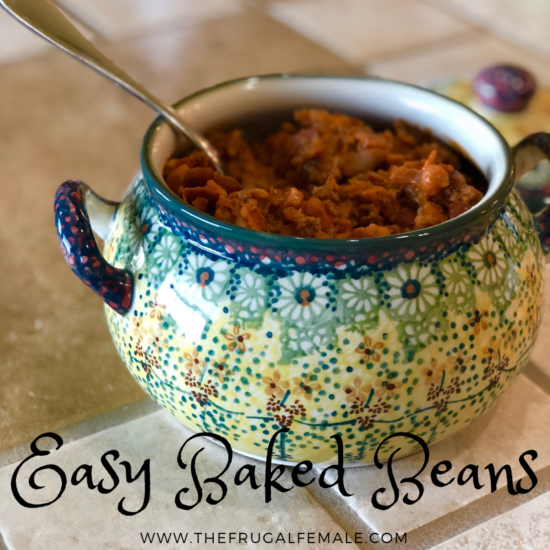 These baked beans would be the perfect complement to any meat on your grill! With three different types of beans and almost a pound of bacon, who could ask for anything more? I guarantee you will be coming back for a second helping! In a large pot, cook hamburger meat until it is brown. Make sure to drain the grease in a separate container. While the hamburger meat is browning, cook the bacon. Crumble the bacon with your hands into the hamburger meat. Add chopped onions into the meat and bacon mixture. Cook the onions until translucent. Reduce heat and add the drained beans, ketchup, brown sugar, liquid smoke, vinegar, salt and pepper. 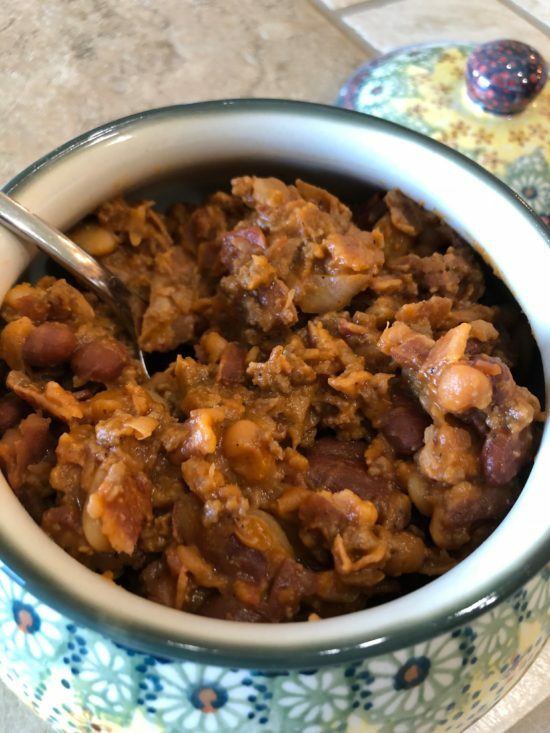 Cook the beans on low for about 30 minutes, stir frequently, and serve. For a shortcut, purchase Oscar Meyer’s fully cooked bacon and zap it in the microwave until it is crispy. Make sure to wait until the bacon is cool to the touch to crumble it into the hamburger meat.